Another month has whizzed by and another My Pocket Money Toy subscription box has landed on our door step. 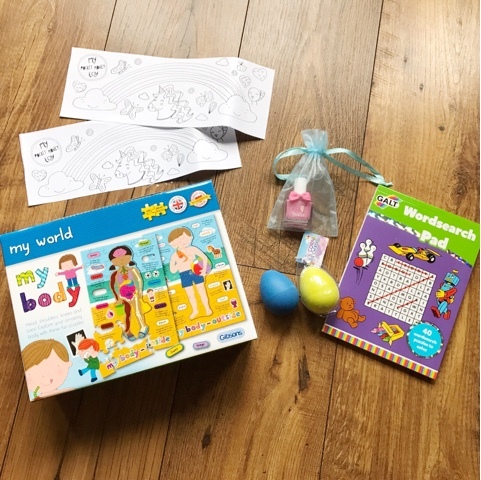 Last month was a fabulous space themed box and this month was more of a mixture with fun educational toys. I tried my hardest to get an unboxing video but the kids were literally fighting over the box and it's contents so didn't look too good haha. I'm sure it's not just my kids that fight over everything! Thankfully they were both completely thrilled once again with their subscription box from My Pocket Money Toy. 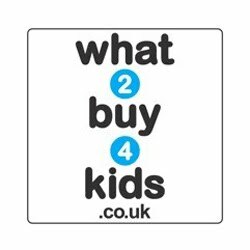 So what did the kids get? 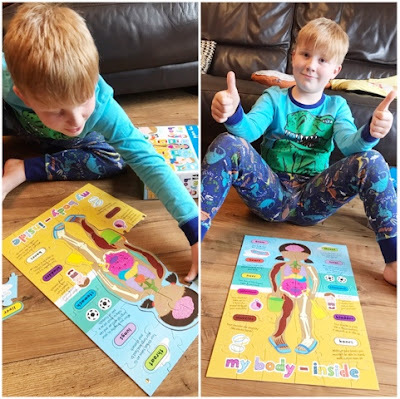 First out of the box was a really cool educational jigsaw called My Body. This jigsaw is a fun shape full of interesting facts which captured Logan's attention immediately. It's recommended for ages 4-7 and suited my son well, he has a massive thirst for knowledge of any kind so putting the pieces together and reading about the body had him captivated. 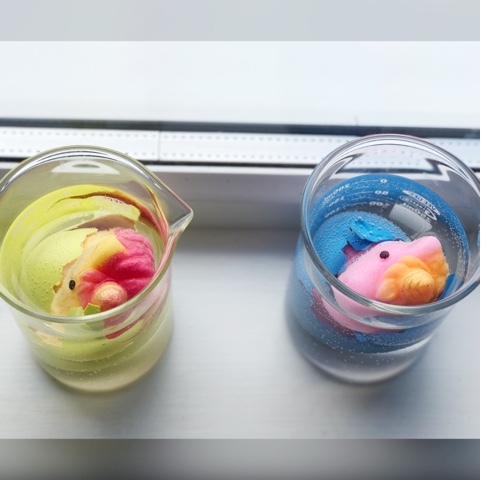 Next up out of the box were two Unicorn Eggs. Yes you read that right and I know you secretly want one now. I was always fascinated with these types of toys as a child and remembered my Mum and Dad putting a pretend crocodile in the pool when we went to America, it was great. Anyway back to the unicorn eggs. The idea behind these toys is that you put them in water and they magically grow. It's also a good way to test your child patience and something you can come back to day after day for a good week or so. The next surprise was a lovely Galt Wordsearch Pad which has 40 wordsearch puzzles to try and solve. This is perfect for doing on a rainy day or worth saving for when going on holiday. I can see Logan using this in the car on long drives down South or opened up on the tray table of an aeroplane. It's sturdy and good quality so won't fall to bits when using it. 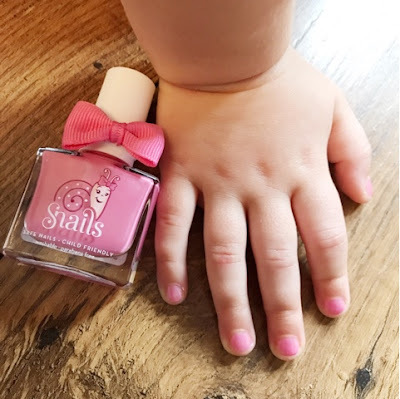 For some time now Harlow's been asking to paint her nails like Mummy so when she saw a cute bottle of Snails child friendly nail polish she was over the moon. She received a gorgeous baby pink shade and couldn't get it open fast enough to paint on her nails. I really like the fact it's safe for little nails, is parabens free and can be washed off. Last but not least there were of course some nice little colouring in sheets for the kids to complete. Again great for a rainy day and Harlow enjoyed colouring in hers last month so definitely handy to have. 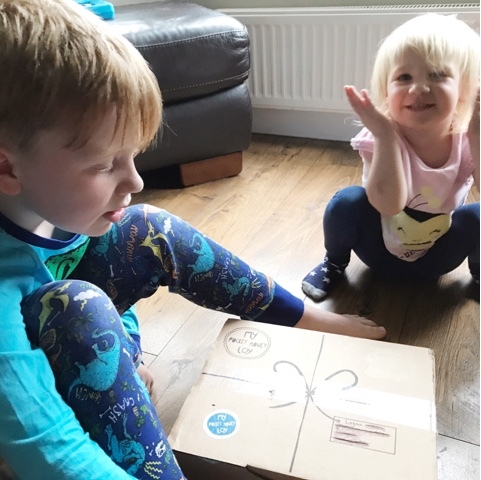 If you haven't already subscribed to this fab subscription box for kids then you really must do it. It would make an excellent birthday or Christmas present and it's simple and easy to subscribe. You can either order a one of box or you can get a subscription for 3, 6 or 12 months. The boxes are split into age groups of 3-5, 6-7 and 8-10 years. You can also choose whether you want a boy or girl box or gender neutral which is a really nice touch. We all can't wait to see what's in next month's box so keep you eyes peeled for our review. I was sent a My Pocket Money Toy subscription box in return for an honest review. 8 comments on "This Month's My Pocket Money Toy Subscription Box"
Oh I love these boxes! 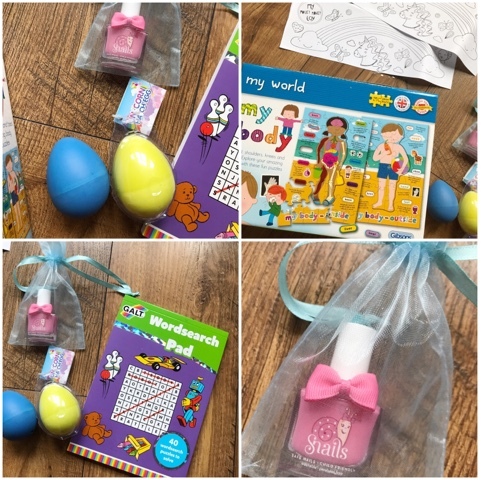 My girls would go crazy for the nail polish and the little puzzles look like fun! Such a good idea! It's a great box thanks Sophia. Thanks Susan, it really is fab value for money. My kids loved the unicorn eggs Alice, well worth a purchase.